We tend to take the weather for granted, but should we, now that climate change is forcing us to re-examine our lives? What can literature teach us about the weather and how it impacts our lives? 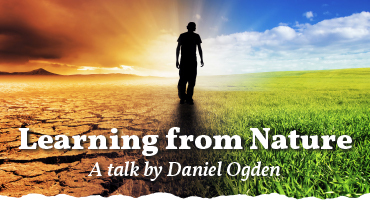 In order to answer that question, Daniel Ogden will discuss the importance of weather in a selection of works by William Shakespeare, William Blake, George Eliot, Joseph Conrad, and Virginia Woolf. Tickets 70:- (incl. tea and cake). Limited space – get your ticket today! 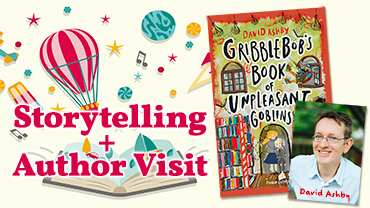 What a magical morning at the bookshop: first Storytelling for Children with Claudia at 11, followed by a visit by children’s author David Ashby. Join us for a reading, signing and snacks. Get your very own signed copy of Gribblebob’s Book of Unpleasant Goblins – a delightful and hilarious adventure story, perfect for children 9 years and up. Welcome! Free – bring kids & their friends! Welcome to an author visit from Alaine Handa, whose fascination with Swedish ”fika” made her try loads of recipes for chokladbollar. 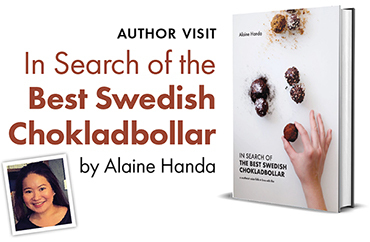 Come and sample some of her favourites and see her ­collection of the very best varieties in her cook book In Search of the Best Swedish Chokladbollar. Get your own copy (or for a friend – great gift! ), get it signed and get baking! FREE – bring a friend! 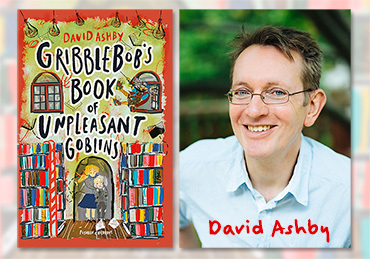 Come and help author David Ashby celebrate the release of his first children's book, Gribblebob’s Book of Unpleasant Goblins, a delightful and hilarious adventure story, perfect for children 9 years and up – and their parents too! There will be drinks and snacks, and you'll be able to get your very own signed copy of David’s book. WELCOME! FREE! Children (of course) welcome! “Do you believe in goblins and fairies and dragons and all that malarkey?” “No,” replied Anna and “Yes,” said Nils, both at the same time. A poetry evening with Irish poet Ciara Ní É, Seaghan Mac an tSionnaigh (also on double bass), Sam Kessel and many other voices. Reading in both English and Irish! 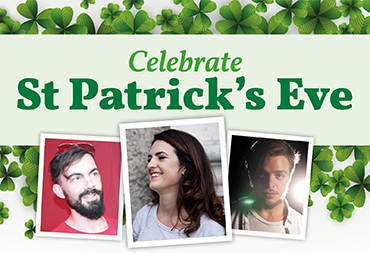 come and celebrate Ireland with us! FREE! Bring a friend and celebrate. STOCKHOLM | Torsdag 14 mars kl 18.30. Gratis! London från Brixton till Brexit – aktuellare än nångonsin. 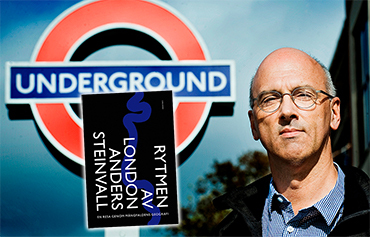 Välkommen till en afton i Stockholmsbutiken med journalisten och författaren Anders Steinvall där han berättar om resan från Brixton till Brexit, presenterar sin bok Rytmen av London och tar oss genom vad som kallats Londons ”coola geografi”, ett urbant ideal starkt präglat av immigration. FÖRFATTARBESÖK Torsdag 14 mars kl 18.30. Gratis! Samtalet (och boken) är på svenska. 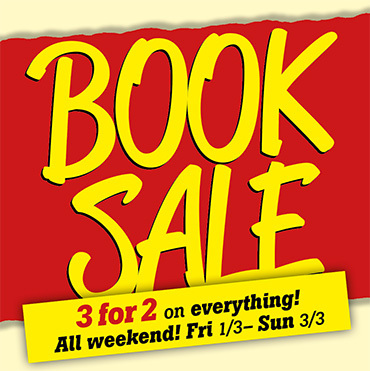 Book Sale 2019 – 3for2 all weekend! BOOK SALE 3-for-2 on everything! All weekend Fri 1 March – Sun 3rd March! We’re celebrating the joy of reading (and well-filled bookshelves) with a great sale this weekend: not just on selected titles, but on everything in our shops in Uppsala and Stockholm. Thanks for making our bookshops the book lover’s paradise!